– Smart idea to open up with the hottest angle and that was the Miz-Ziggler feud. Ziggler got the chance to come out and embrace the crowd’s “You deserve it” chants as he spoke about his risks and how they were worth the price of the IC Title. Miz/Maryse’s “funeral” bit was well-done, as Miz spoke that the belt was now dead with the “mediocre Ziggler” and felt the story was long from over. Is it now? Guess we won’t mind it. Miz was great here as he spoke of himself as the hero and that he’d end up with the gold in the end. We thought Ziggler making light of Miz’s shattered facial expression at the conclusion of their NM match was somewhat heelish, but because this was Miz, it worked fine here. Miz’s response was gold here as he mentioned how hard he worked to keep the belt and brought up the question of what he’d do to get it back. We were also thrown into the night’s first match, as he sent out The Spirit Squad to lead a cheer that announced a 2-On-1 Handicap match with Ziggler. A good continuation as we also guessed that SS would stick around more than a one-and-done. – The 2-On-1 Handicap Match between SS and Ziggler was kept short, but it went as expected. Kenny was definitely the better of the two (as in the past before his ill-fated run as Kenny Dykstra) and he took the superkick that ended the bout. The post-match angle was great since we saw Miz get a cheap attack on Ziggler and before SS could do more damage, they were run out by WWE SmackDown Tag Team Champions Heath Slater/Rhyno. We liked this because it began a new feud for the Champs and as we seen a standoff with six people with three on each side, we’ll guess there’s a tag match in our near future with all parties. – Just as we’ve begun to settle into the Pay-Per-View heavy world that is Post-Draft, it’s already time for Survivor Series. 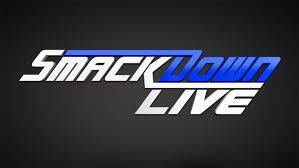 We had a backstage promo from SmackDown Live Commissioner Shane McMahon/SmackDown Live General Manager Daniel Bryan that “threw down the gauntlet” as they proposed separate traditional five-on-five elimination tags between the heavyweights, tag teams and women of each brand. We were left to wonder if “Team Raw” would say yes, but since it was already teased, it’ll likely happen. We also wonder if any draft picks are also on the line. Is this like the All-Star Game for WWE now? – Naomi had some momentum as she defeated Alexa Bliss at No Mercy, while Carmella was beaten by Nikki Bella. The Carmella-Naomi match was preceded by a pre-taped segment where we saw Carmella attack Bella again after another interview. We loved Carmella’s mean streak and we saw more of it as she attacked Naomi before “The Glow” could leave the dark. Also liked that they showed Bliss as she watched from a backstage monitor. The match itself wasn’t long, but it wasn’t meant to be. The finish was a good way to extend the Carmella-Bella feud as Nikki came out to try to attack Carmella but was held back by officials, which distracted her enough to get pinned by Naomi for the win. Naomi had two straight wins now and perhaps they’d build to a triple threat at Survivor Series. Bella briefly had Carmella, but the heel escaped through the crowd. – The backstage segment with Bliss and Bryan provided hype for next week, as we saw Bliss brag that she’d take out Naomi any day of the week and that caught Bryan’s attention as he booked the two to fight next week. Perhaps they built up Naomi a bit to have Bliss put her down, as we already knew Bliss’ Title shot against WWE SmackDown Women’s Champion Becky Lynch would come on Nov. 8 in Glasgow, Scotland. – The Jimmy Uso-Chad Gable match was a continuation of their mini-feud, as Gable targeted Jimmy’s leg which tied back to how he himself was injured by the twins earlier in the year. Another short match that ended with a semi-botched spot where Jimmy got the win with “assistance” from his brother, as he pushed Jimmy further on top of Gable to make it harder to kick out. Usos got a little momentum back, as we liked that they’ve been the one team to have AA’s number per se. – The backstage segment with The Hype Bros. and The Ascension happened. All we gathered from it was that Zack Ryder wanted Mojo Rawley to focus on the Tag Titles, while we saw that Ascension “creeped” from the background. Rawley was most intrigued about this fact. Yes, Ascension are creepy peeping Toms. Fantastic. – The in-ring segment with Styles, Ambrose and James Ellsworth revolved around Styles’ “victory speech” from his NM win. He took the opportunity to get heat from the crowd as he called them losers who vicariously lived through him and that he was a winner who always found a way to win. This brought out Ambrose, who said it was long from over with him because he technically made Styles tap out on two different occasions. Styles hyped a match where he’d give the “opportunity of a lifetime” to face him to someone who wasn’t on the roster. Low and behold, that’s where Ellsworth came out, to make it obvious Styles would try to find the easy way out to keep his Title. It was established as a Non-Title match and Bryan came out and approved the idea, as he also made Ambrose Special Guest Referee. Funny. We also learned that of Styles touched Ambrose, he’d be fined or suspended. – The Styles-Ellsworth match with Ambrose as Special Guest Referee was mainly more about comedy, as we first saw Ambrose make Styles hold objects from his pocket, as he fastened his Referee shirt inside his pants. Some of them consisted of a flask and a long chain, among other random things. The gist of the match was Ambrose purposely stepping all over Styles’ offense and fast-counting him whenever possible too. This was the easiest way for him to humiliate Styles as he had all the say in how the match would go down. Hilarious moment where Styles made Ellsworth tap out to the Calf Crusher, but Ambrose chose to lay down and turn his back as he spoke on his phone. Styles continued to have Ellsworth beat, as he hit the Styles Clash (pretty nasty landing for Ellsworth) and Ambrose refused to count to three. Ambrose hit a Dirty Deeds and covered Ellsworth over him for what was sure to be a near-fall, but Styles kicked out at two. We thought the fun and games were over here, until another Dirty Deeds was hit and this time Ellsworth covered Styles for a three-count. Technically, Ellsworth had beaten Styles. Did that mean a future Title shot? – The backstage segment with Randy Orton and Kane was a preview for the main event where they’d team up against Bray Wyatt/Luke Harper. The basis of this was a common ground since Kane experienced “Wyatt’s World” and Orton wanted Wyatt to live in his world instead of vice versa. Funny line where Kane told Orton he had issues, which was irony at its best, but we were dreading this match. Can you say, “Snoozer”? – The backstage segment with Bryan, Shane and Styles saw a predictably angry Styles blame management for what happened. Shane laid the law down as he told Styles he should’ve blamed himself for getting into the situation to start. We were interested by Styles’ threat to “take thing into his own hands.” We also had a tidbit that Bryan had an idea that concerned Ellsworth for next week. – The Orton/Kane-Wyatt/Harper main event followed a pre-match heel promo where Harper spoke about being “wide awake” and usual mumbo-jumbo. Commentary tried to spike this up as a “smash mouth contest,” but this was the exact opposite for us. It smashed out brain. To sum it up, Orton had the chance to unleash some pain on Wyatt and looked to tag in Kane when the lights went out. They went back on and Kane was gone off the apron. The big “shock” was the pondering of what happened to our dear Kane. This hocus pocus stuff is killing this storyline. Even we can hold out for so long. Anyways, they repeated the NM finish as Wyatt hit the distracted Orton with Sister Abigail. Oh no. Ugh. Posted on December 4, 2016, in WWE and tagged AJ Styles, Alexa Bliss, Bray Wyatt, Carmella, Chad Gable, Daniel Bryan, David Otunga, Dean Ambrose, Dolph Ziggler, James Ellsworth, Jason Jordan, JBL, Jey Uso, Jimmy Uso, Kane, Luke Harper, Maryse, Mauro Ranallo, Naomi, Nikki Bella, No Mercy, Randy Orton, Shane McMahon, Survivor Series, The Ascension, The Hype Bros., The Miz, The Spirit Squad. Bookmark the permalink. Leave a comment.